The City at the Interchange! Springfield is a tranquil town consisting of about 32,000 people located in the Pentagon area of the Washington DC corridor. The town is comprised of mostly blue collar and white collar workers who tend to be highly educated, and features and extremely diverse demographic. There is plenty of nature and waterways nearby, even though the town is dominated by and largely known for a huge highway Interchange system that ties the DC corridor together. Springfield is an extremely family-friendly community, with over 7,000 families making up its population. The school systems are ranked among the best in the nation. 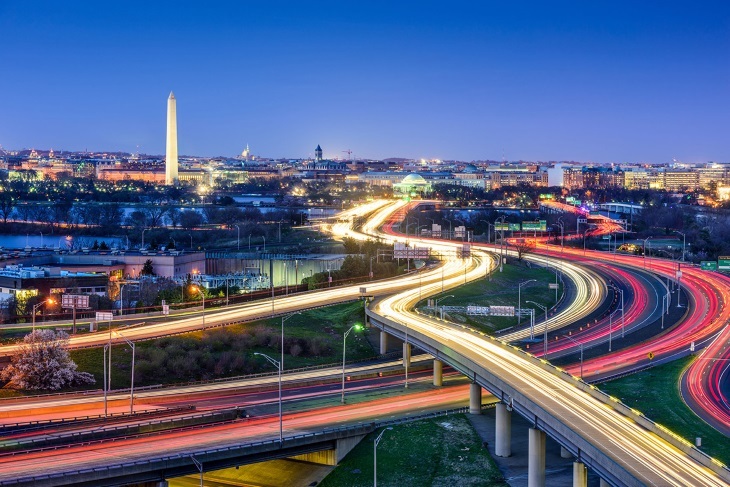 Springfield also features an excellent location with easy access to major roadways that lead to DC, Richmond, Baltimore, Frederick, Hagerstown, and many other urban areas. The Springfield Interchange gets its name from the town, as the town sits at the interchange of a number of Interstates that dominate the DC Corridor, including 95, 395 and 495. The Pentagon is located nearby as the interchange is an excellent transportation hub, one of the biggest and most important on the East Coast. Many businesses and shipping companies are located throughout the region for this reason, and commute and travel routes are excellent. Mass transit is easy to find with the Interchange nearby. There are two railway stations, Backlick Road Station for Virginia Railway and Franconia Springfield on the Washington Metro. There are also 3 bus lines available in the area. The convenience of travel and the fantastic location is one of the many reasons that Springfield holds such a high property value. Springfield property ranks among the most expensive real estate in the state, the region, and the nation. Crime rates in Springfield are very low when compared to the rest of the nation as the crime index is a fantastic 66. There are less than 30 violent crimes committed each year, an extremely small amount for so many people. Nearly 40% of adults in Springfield have a college degree, which is nearly twice the national average. The per capital income each year for a family of four is an amazing $150,000 plus a year, well above the national average. No matter how you cut it, Springfield is an excellent place to raise a family, and a cozy, tranquil place to live. Curious to know what homes are selling in your neighborhood? Sign up here for Springfield Market Report to be up to date on real estate market statistics. Wondering how much your Springfield home is worth? Learn more here! Lovely 4BR, 3 Full Bath Home with Screened Porch- sought after Kings Park Community, Updates and Hardwood Floorings, Many Upgrades, must see!